Dollar Will Lose Value Over Time: Guaranteed. Until 1971, U.S. currency represented tangible value. 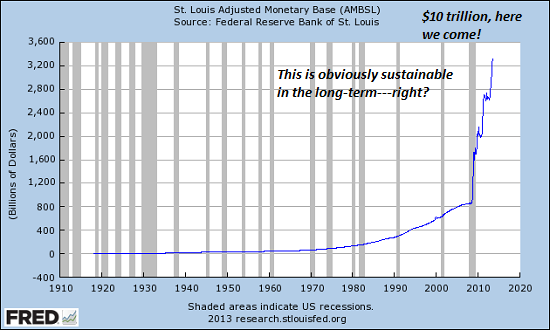 Today, the dollar has no intrinsic value; and the dollar-supply is unlimited. In 1971, the value of the dollar was tremendous (thirty-five dollars equaled the value of a 1-oz gold coin). Since then, the dollar has fallen 3,600% against gold (it now takes 36 times as many dollars to buy the same gold coin). Over time, gold preserves purchasing-power. 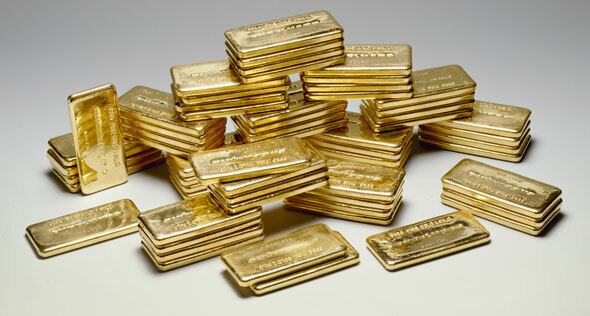 The sole purpose of gold is to store value. On the other hand, printing-press-money loses value over time. 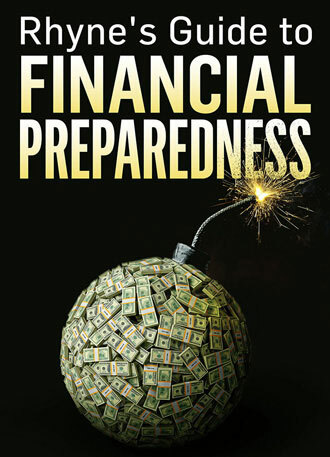 If you keep your savings in dollars, money-printing will destroy your purchasing-power — it is guaranteed. The day credit collapsed around the world (August 9, 2007), the London gold price was $662.60/oz. After 2007, China implemented a strategy to slowly de-peg from the PETRO-DOLLAR, and aggressively add gold to its foreign exchange reserves. On March 14, 2008, people were shocked when gold surged past $1,000/oz for the first time ever. BULLION IS MOVING FROM THE WEST TO THE EAST. Since the global credit-collapse in 2007, the East has been accumulating most of the world’s gold production. Chinese, Russian, Indian, and Middle Eastern purchases have been unprecedented. Buyers from Shanghai, Hong Kong, Thailand, VietNam, Turkey, Singapore, Dubai, Bangkok, etc. vacuum up available bullion on every price-dip. In the last ten years, there has been a massive draw-down of deliverable gold at the London Bullion Market Assn. [LBMA] and the New York Commodities Exchange [COMEX]. As a result of scrap shortages, the world’s five major refineries have waiting lists for deliveries of pure bullion. Warehouse inventories of available “Good Delivery Bars” [400 oz gold bars, 1,000 oz silver bars] are extremely low at bullion banks. Two of the bullion banks under pressure are JPMorganChase Bank (custodian of the silver Exchange Traded Fund “SLV”) and the Hong Kong & Shanghai Banking Corp (HSBC is custodian of the gold ETF “GLD”). Today, more than half of the world’s population believe that the only real money is gold and silver. On the other hand, less than ½ of 1% of Americans own physical precious metals. Most investors in the West buy PAPER silver and gold ‘derivatives’ [options, commodities futures contracts, and ETFs]. NAKED SHORTING DISTORTS SUPPPLY AND DEMAND. Thanks to an unlimited supply of PAPER silver and gold, the digital market is in control of spot prices. Prices do not reflect actual supply and demand for physical bullion. During intervals in 2011, 2013, 2014, and July 2015, supplies of silver were so tight, U.S coin dealers were unable to satisfy over-the-counter demands. But each time, the market was flooded with massive tonnage of PAPER silver to suppress the price. The chart above shows how rapidly the monetary base has been expanding. Money-printing is showing up in rising costs: in the inflated stock market and select real estate markets, for insurance, rent, utilities, tuition, medical care, groceries, gold, and crypto-currencies. DON’T END UP HOLDING A PIECE OF PAPER. A whole lot more money-printing is headed our way. And deliverable bullion in the West is in short supply. Extreme product shortages always end up triggering runs to higher highs. The next move up in precious metals will be propelled by HUGE supply deficits. The exchanges are selling the same ounce of physical gold or silver over and over. It is estimated there are 400 claims to every 1 oz of “deliverable” silver at the N.Y. COMEX. Take delivery while actual coins are readily available in North America. 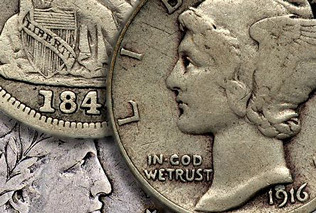 If markets are disrupted, old U.S. silver dollars and U.S. 90% silver dimes, quarters, and halves [pre-1965 coins] could be used in small transactions. PHYSICAL silver and gold coins are valuable under all market conditions. Don’t end up holding a piece of paper! The British Pound Sterling lost its status as the primary basis of global trade in 1944. Why? Because the Treasury of the United States held title to about 4/5ths of the world’s officially-held gold reserves [more than 20,000 tons after WWII]. The dollar became the world’s “reserve currency” because U.S. government creditors could convert their dollars to U.S. gold [from 1792 until Aug. 15, 1971]. Since gold convertibility was suspended in 1971, the dollar has retained its reserve-currency status because of its forty-year monopoly in settling OPEC oil trades. TABLE of CONTENTS: Ancient Monetary System; CARAT Weights; KARAT Purity; TROY Weights; METRIC Weights; MILLESIMAL Fineness; FAR EAST Weights; POUND (Pound Sterling, Pennyweight, Sovereign); DOLLAR (Old Gold Coins); Historical GOLD-to-SILVER RATIOS (U.S. 90% Silver Coins, new American Eagles); BIBLE Weights: TALENT, MANEH, SHEKEL, GERAH, BEKAH (Table); WORLD COINS (Gold Contents).